These days, brands are embracing the notion of collaboration more and more, especially with the ongoing Fall-Winter 2019 fashion week, which has seen the likes of Fendi’s partnership with Porter-Yoshida with Baguette and Peekaboo bags that will come in the latter’s signature technical nylon, for example. Collaborations are also great because they rely on the expertise of another, especially so if the collaborator has the technical know-how, and is an expert in the field for decades, centuries even, which is the subject of today’s post with Birkenstock. Now, it isn’t because Valentino can’t produce a pair of leather sandals on their own, but the fact that they have chosen to collaborate with Birkenstock to create exclusive pieces of the renowned Arizona Sandals speaks volumes on the power of collaborations. It carries a sense of familiarity and connection; almost everyone owns this pair from Birkenstock which are so comfortable (thanks to its anatomically shaped footbed), with the unmistakable two-strap buckle that’s instantly recognisable from afar. Valentino gives the everyday Arizona Sandals a touch of luxe, with the exclusive pairs coming in a full-leather covered footbed that amps up on comfort with every step. 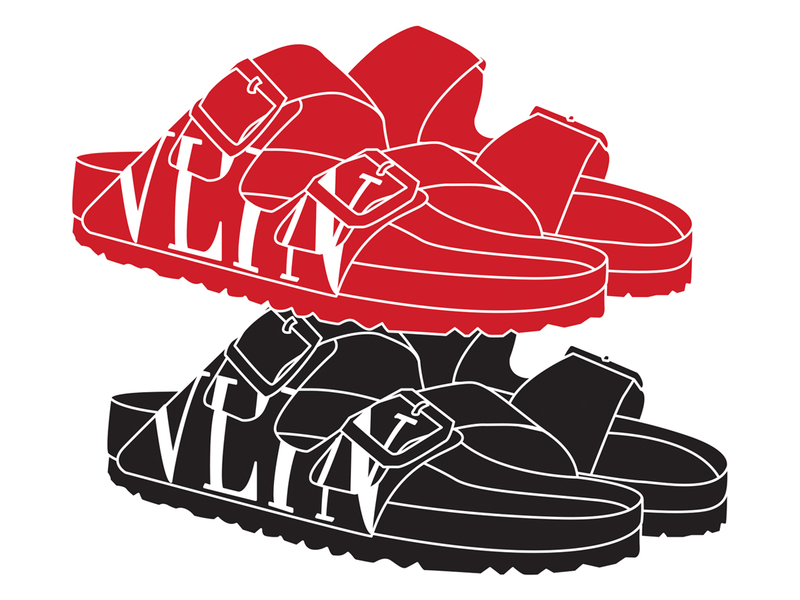 Available in both Black and Red with the VLTN logo in white, the sandals will be available in Singapore come end February/early March. Estimated to be priced at around SGD600 a pair, they will also come in sizes for men and women. You just need to head down to Marina Bay Sands and ION Orchard respectively to pick them up.